Purpose of treatment: to maintain a commercial relationship with the User. ● Sending of commercial advertising communications by email, fax, SMS, MMS, social communities or any other present or future electronic or physical means that makes it possible to carry out commercial communications. These communications will be made by the RESPONSIBLE and they are related to their products and services, or their partners or suppliers with whom it has reached a promotion agreement. In this case, third parties will never have access to personal data. ● To process orders, requests or any type of request that is made by the user through any of the contact forms that are made available. ● Submit the newsletter from the website. Data retention criteria: they shall be retained as long as there is a mutual interest in maintaining the purpose of processing and when no longer necessary for that purpose, they shall be deleted with appropriate security measures to ensure the pseudonymisation or total destruction of the data. ● Right to withdraw consent at any time. ● Right of access, rectification, portability and deletion of your data and the limitation or opposition to their processing. ● Right to lodge a complaint with the supervisory authority (agpd.es) if you consider that the treatment does not comply with current legislation. The Users, by means of the ticking of the corresponding boxes and the entry of data in the fields, marked with an asterisk (*) in the contact form or presented in download forms, accept expressly and in a free and unequivocal way, that their data are necessary to meet their request, by the provider, being voluntary the inclusion of data in the remaining fields. The User guarantees that the personal data provided to the PERSON RESPONSIBLE are true and is responsible for communicating any changes. The PERSON RESPONSIBLE informs and expressly guarantees users that their personal data will not be transferred to third parties under any circumstances, and that whenever any type of transfer of personal data is made, the express, informed and unequivocal consent of the Users will be requested in advance. All data requested through the website are mandatory, as they are necessary for the provision of an optimal service to the User. In the event that not all the data is provided, there is no guarantee that the information and services provided will be completely adjusted to their needs. That in accordance with the provisions of the current regulations on the protection of personal data, the PERSON RESPONSIBLE is complying with all the provisions of the GDPR regulations for the processing of the personal data for which he or she is responsible, and clearly with the principles described in article 5 of the GDPR, by which they are processed in a lawful, fair and transparent manner in relation to the data subject and appropriate, relevant and limited to what is necessary in relation to the purposes for which they are processed. 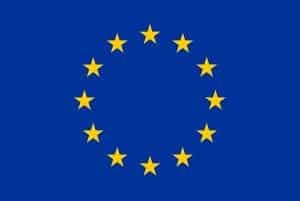 The RESPONSIBLE guarantees that he/she has implemented appropriate technical and organisational policies to implement the security measures established by the GDPR in order to protect the rights and freedoms of Users and has communicated to them the appropriate information to enable them to exercise them.